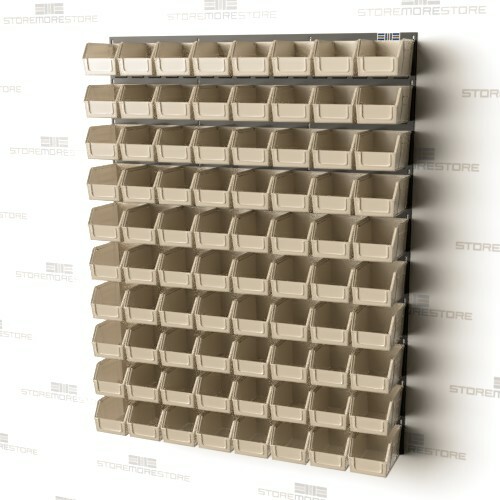 Make use of your wall space with wall mounted louvered panels and hanging bins available in a wide variety of sizes. In fact, you can even mount the louvered panels on anything from walls and benches to inside trucks, cabinets, or on carts. 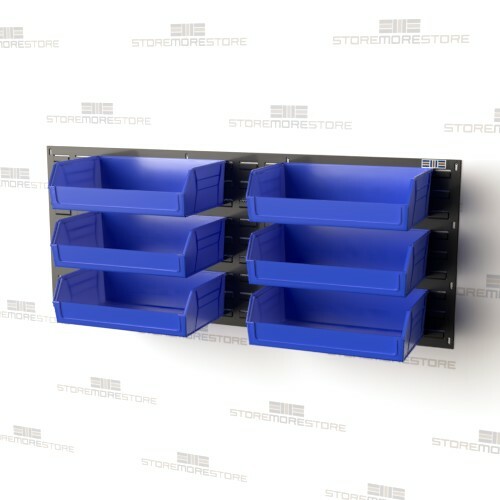 This versatile solution provides a great way to store and organize small to medium parts in industrial, healthcare, MRO, and many other applications. Instead of spending time searching for parts, the louvered panels can keep everything you need above your workspace instead of taking up your floor area. With multiple bin colors available, you can also color-code your storage for even easier access. Additionally, the bins’ ergonomic design facilitates easy handling and viewing of a bin’s contents. Smaller panels will hold 175 lbs. to 250lbs. while larger panels will store up to 1,000 lbs. Wall mounted louvered panels are available to buy online and ship within 10-15 business days with free dock-to-dock shipping included. If you need any assistance or just want some help picking the right solution for you, please call us at 1-855-786-7667.